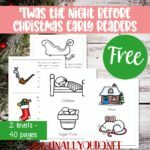 Day 10 ~ WIN a Personalized Christmas Book!! On the 10th day of Christmas, the Homeschool Bloggers Network partnered with I See Me! to bring a fun giveaway for your children! 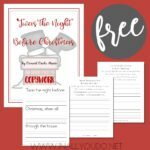 Win “My Night Before Christmas” from ISeeMe! Create a unique holiday gift for the special child in your life with this personalized Christmas book! Customize this classic Christmas poem by Clement Clarke Moore with your child’s name, town, favorite pet and more. Pick a special dedication message, upload your holiday photo, and even include your child on Santa’s “Nice” list. Children will delight to see themselves in this favorite holiday storybook and hear their names as you read it to them year after year. Holidays are about traditions and families coming together to celebrate those traditions. This year, start a new holiday tradition by reading the personalized book, My Night Before Christmas! To enter simply use the Rafflecopter form below. Open to US residents only. All entries will be verified. Winner will be chosen at random Friday, December 19th, 11:59pm CST!!! The winner will be notified via email and will have 48 hours to respond. If no response is received within 48 hours, a new winner will be chosen! Good luck! Don’t forget to check out the other giveaways in the 12 Days of Homeschool Giveaways!! 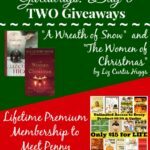 12 Days of Christmas Giveaways: Day 6 ~ TWO GIVEAWAYS!!!! 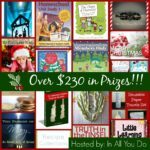 12 Days of Christmas Giveaways: GRAND PRIZE ~ Over $230 in Prizes!! !